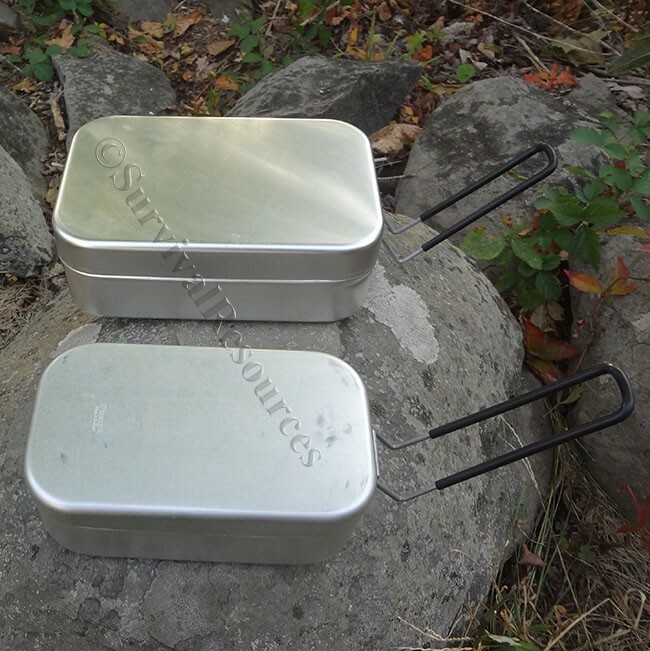 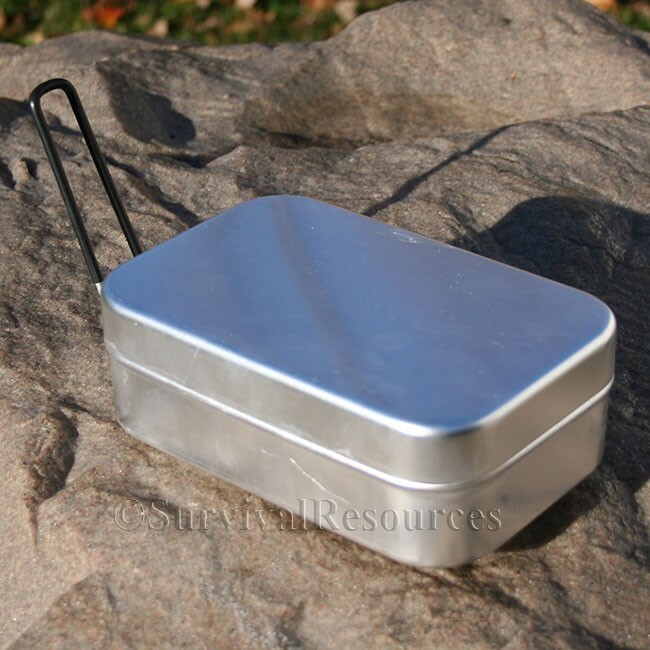 This a great little mess tin that can be used for a survival kit, or for cooking. 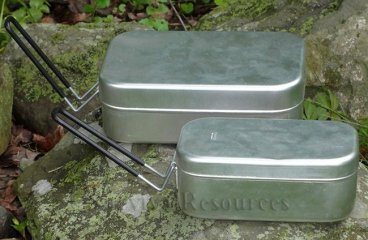 Its rectangular shape makes it easy to pack, and its folding handle folds flat on the top of the tin. 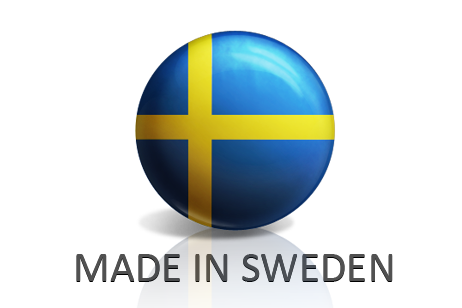 Made from Aluminum, it measures 7.8" x 5.1" x 2.6".